1. 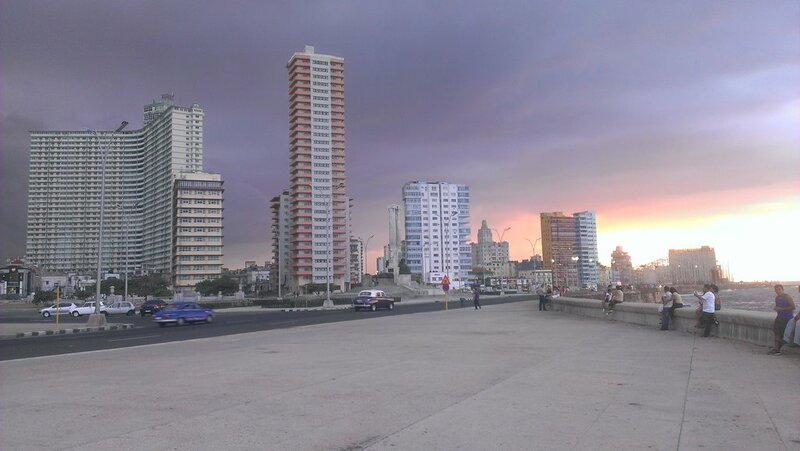 Havana and Santiago: Leave Saturday, November 17th(*) and return Sunday, December 2nd. On Saturday, November 24th we all fly to Santiago. 3. Santiago only: Leave Saturday, November 24th, and return Sunday, December 2nd. * Depending on where you are coming from and how early you are willing to get up, you may be able to arrive to Havana the same day and thus leave on Saturday, November 17th. Otherwise, you will need to leave the afternoon before, spent the night in either Miami, Ft. Lauderdale, Atlanta, or Houston, and then fly to Havana the following morning/early afternoon. The group size will be limited to 14 travelers. For 3 plus days in Santiago we will be participating in a big Salsa Dance Festival in Santiago. Parties each night with each participant having their own professional Cuban dance partner to dance with. Multiple workshops during the day, with each participant be assigned their own professional Cuban dance partner to take each class with you. Shows by the top professional dance troupes in Santiago and beyond. There is a supplemental charge of $150 for this which is already included the total package price below. The remainder of the total trip cost minus $500 due on October 15th.